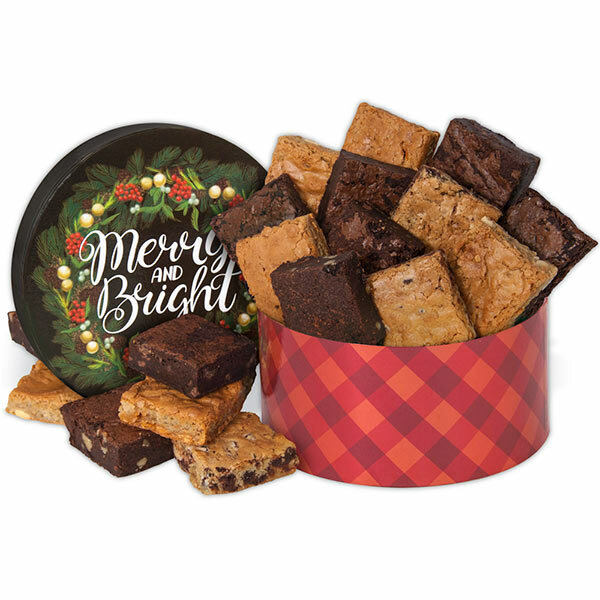 Nothing will make their holiday season more merry and bright than this adorable box full of freshly-baked brownies and blondies! Liven up your holiday gift giving and give the gift of some freshly-baked treats! Our brownies and blondies are baked daily and include flavors like fudge walnut, white chocolate chip macadamia and butterscotch. Totally delicious. (2) Chocolate Chip Blondies - 1.5 oz. (2) Butterscotch Blondies - 1.5 oz.